East End did continue for many years after integration. My siblings were students there in '63 when the fire occurred. Our parents kept them out for the remainder of the school year. They were promoted despite missing so many days. When I attended in the mid 70s, East End was paired with Club Blvd for intergration. I actually attended east end in the early '80's for one year. I believe it was 1982 - 1983. I had a wonderful 3rd grade teacher named Mrs. Morrison, who retired after that year. I have fond memories of that year. I was one of 4 white kids in the class and loved the diversity. I think that experience has shaped who I am today. I attended east end for one school year--1981 - 1982. My third grade teacher's name was Mrs. Morrison and she retired after that year. She probably had worked there for years. She was a kind soul and taught me a lot. I was one of 4 white kids in the class. I have fond memories of being there and I think it has shaped who I am today. Thanks for this site. I was wondering what ever happened to east end. Funny how an 'old, archaic structure' can look so good. Perhaps DPS and all other PS systems should take note and not put so much stock in new moderns physical plant. I remember hearing from my teachers about successful alums of Bethesda School in my early elementary years. Clyde Edgerton came and spoke to my high school class. Well I am the youngest to contribute to this page... but I was one of the last students to attend this school. I was in second grade (roughly around 1996) when they decided to close the school permanently and combined it with Holloway Street school into what is now called Eastway (which was directly across from Few Gardens). At that time it was still mostly predominantly black. I still remember that school even though I went there for 2 years. I remember the black top and monkey bars. I am in tears to see myElementary School up here. YAY EAST END!!!! Agreed. There were many a good times there. To use the quote that kept the place going for a while "I'm East End born and East End bred. And when I die, I'll be East End dead." 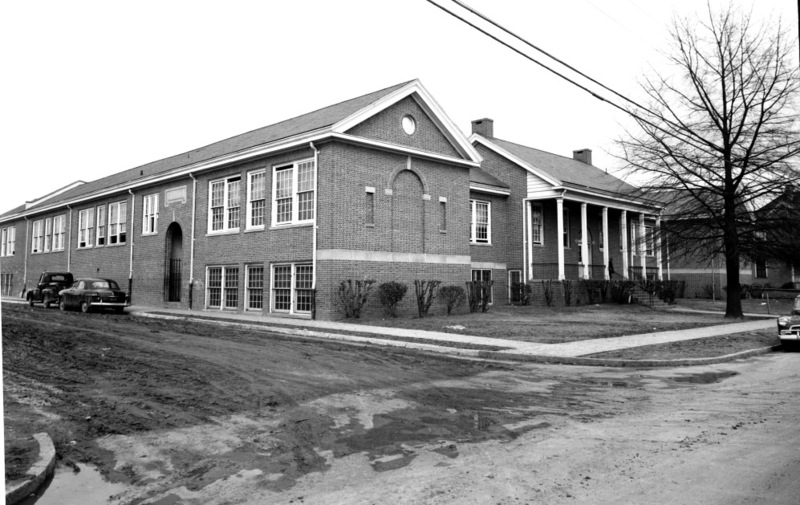 The East End Graded School, built in 1909, was the third graded school established for African-American children in Durham, after the Whitted School (at Ramsey and Proctor Streets in Hayti) and the West End Graded School. The locations of these schools reflected the locations of predominantly African-American neighborhoods at the turn of the 20th century. The original frame structure was 70 x 75 feet in size with 10 classrooms. 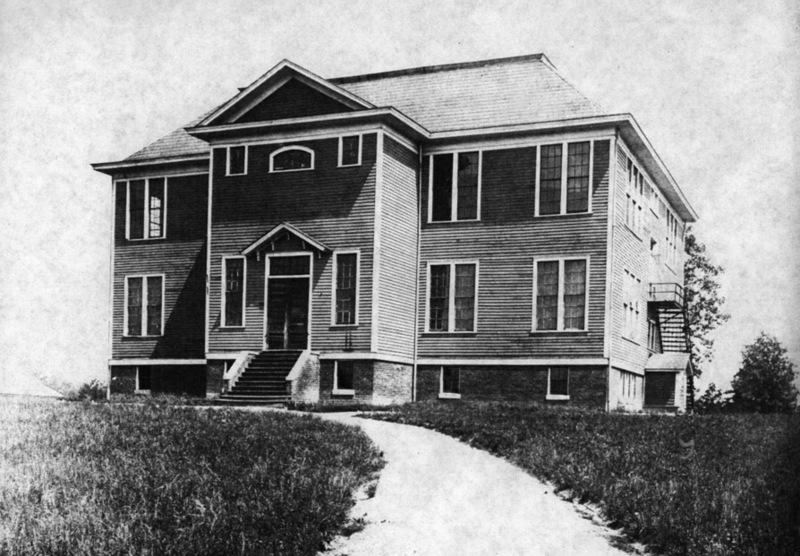 In 1927, it enrolled 352 students. A 1927 writeup notes that a proposed "extension of Haywood Street into Drew Street" would "come close to the school." Whether this or population growth necessitated a new structure, I'm not sure, but in 1932, a George Watts Carr-designed masonry structure replaced the original frame school. Additions were added to the school in 1948 and 1961. 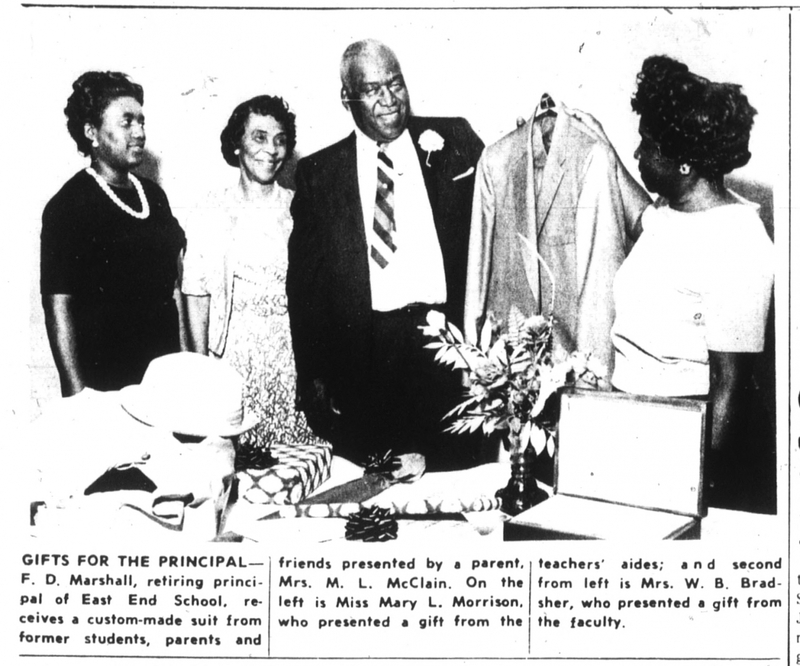 Throughout this period - for 36 years from 1930 until 1966 - F. D. Marshall served as principal at East End. 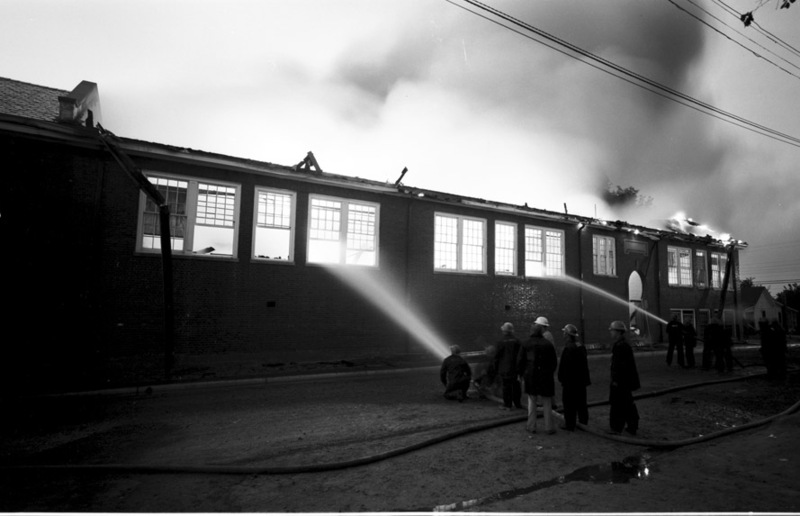 On April 24, 1963 the school burned quite badly. Interior shot, after the fire, 04.24.63. But it appears that the remains of the school were repaired/rebuilt relatively quickly. The beginning of the end of segregated schools in Durham began in 1959, but court-ordered desegregation didn't occur until 1970-71. East End continued on after this period as a desegregated school, though like the surrounding neighborhood it remained predominantly African American. I believe East End ceased to be a regular public school in the mid-1990s, but I don't know exactly which year. Today the former school building appears to house a church: Bethel Family Worship Center. This building was the subject of a What's It Wednesday?! post on Open Durham's social media accounts (Facebook and Instagram), the week of March 20, 2019. Follow us and stay tuned for more finds! Well I am the youngest to contribute to this page. I am in tears to see myElementary School up here. YAY EAST END! !